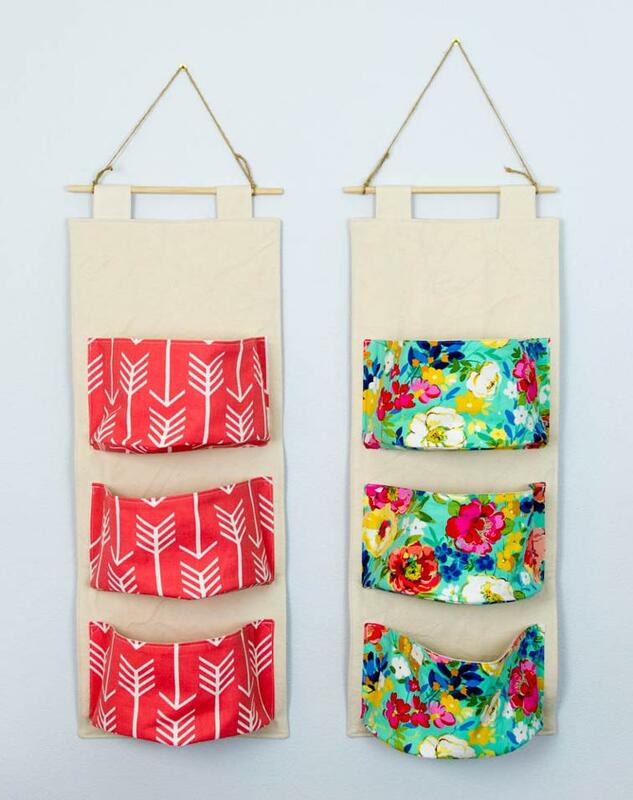 Sew pretty hanging organizers using natural cotton duck fabric plus quilting cotton or home decor fabric for the pockets! A simple dowel is used to hang the organizer with twine. Tip: if you want to place heavier items in the pockets, use thumbtacks above the 3rd pocket to secure the canvas back to the wall. You'll surely love this Upcycled Denim Pocket Organizer, too! Instead of thumbtacks, you could also sew on narrow sleeves, at the tops of the other pockets, but in the back, and insert more dowels for stability and strengthening.